I’ve been skirting the issue for a while, and finally reached a conclusion. Loremaster: If I want to get it, I’d better go for it. Now. Before it’s (possibly) too late. Or at least, before the Loremaster achievement is overhauled. I’ve talked about the issue before, and plead my case that Blizzard should maintain access to ALL the old quests that are now 5+ years old. But I grow more and more doubtful that that’s a realistic hope. It’s time to stop hesitating and get that title. Given that I don’t have a ton of time left before Cataclysm (maybe three months, give or take, if the game actually is released before BlizzCon), I’m getting all my ducks in a row for the quest grind. Thankfully, there are some great tools available for other crazies who are attempting for the Loremaster title before Cataclysm hits. Specifically, the EveryQuest addon is a life saver. And happily, I happened upon a companion addon that makes the process of finding quests much more manageable: EveryQuest: QuestGivers. See that map to the left? As a thumbnail, you may not notice anything all that special. 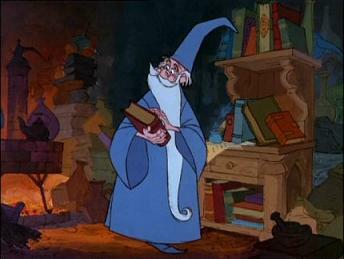 But click it to enlarge, and the magic appears. All those lovely little yellow exclamation points save me the trouble of searching database sites for every single quest giver who is paired with a quest that I have yet to complete. The addon isn’t perfect (sometimes roaming quest givers aren’t shown exactly where they should be)… but in those cases, I still have my trusty WoWhead commenters who probably have already faced the same questions that I may pose. Now does all this help that was unavailable prior to Patch 3.3 take away from the actual achievement? Perhaps, to some. I salute the many, many of you who somehow toiled to gain your Loremaster title before these handy dandy addons were available. But I am thankful to have them. And use them, I shall. Now the question is: do I have the time? I’m not all that far along. Only a little more than halfway, actually, in either Eastern Kingdoms or Kalimdor. Only 2 of 7 needed zones in Outland (You can tell I didn’t play in BC. At ALL). 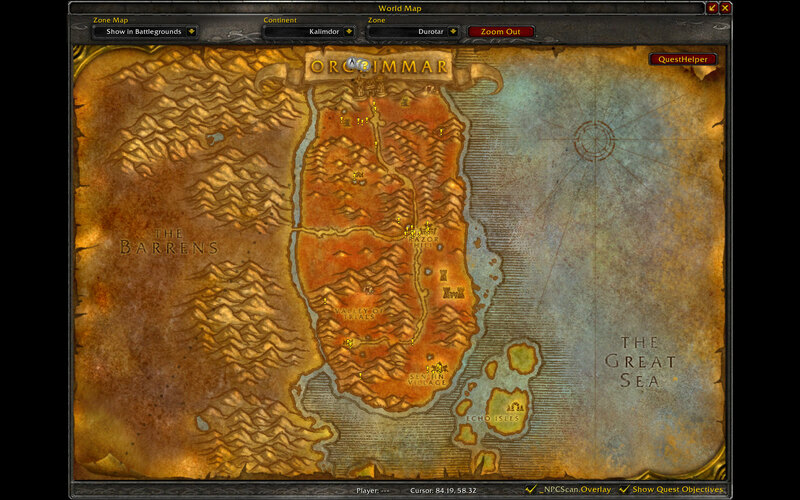 And 7 of 8 required zones for Northrend (which, of course, I am the least concerned about. But oh well). A recent experiment: completing Sholazar Basin’s quests, from start to finish, took less than a day. 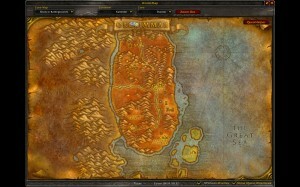 But that was in Northrend, where the quests were relatively cleaned up and nice compared to some of the Vanilla zones. On the other hand, it also was without the aid of QuestGivers. This may be a large order to take on given a shortage of time and a recent busier-than-usual IRL schedule. But we’ll see if I can do it! Care to follow my progress? Or perhaps take bets on how long it’ll take me!? Who else wants to take on this challenge with me? I’m hoping it’ll be fun and educational – because that’s really the whole point. And, of course, the title. I was thinking of finally attempting it on my new 80, but I find myself starting up in Barrens, picking up like 15 quests, and realizing how much I don’t want to do this. I picked up the challenge, and have about 200 to go in Kalimdor, 14 in the Outlands, and I have no idea how much in Northrend, but with the Eastern Kingdoms done, I see progress. Should be done by September. Woot! I didn’t find it too hard really. It got annoying at some points, but my tactic was just to go from zone to zone clearing them out, and trying not to follow breadcrumbs until I had no other quests left in the current zone. It worked fairly well, however it can take a while. No matter what you do you just need to stick with it. I suggest just setting a certain amount a day (maybe 10-15) and you will eventually get there. I myself, having got ‘Loremaster’, started getting to work on ‘The Insane’, but I’m now taking a break from WoW, and so might continue if I come back for Cataclysm. My final piece of advice is to do the Sceptre of the Shifting Sands quest line. Specifically the Blue Shard chain. It is possibly my favourite quest chain in the game, because of the amount of really witty dialogue and writing Blizzard put into it. Continue up until you need to make the arcanite buoy. The quests count toward the achievement and though they may be slightly more difficult for several reasons (you need Brood of Nozdormu rep for example, but if you farm for your Red Qiraji Resonating Crystal you should get enough of that – and also the quests for improving your ring when you get more rep with Brood of Nozdormu count toward the achievement), the experience more than makes up for it. I say stop at the arcanite buoy part because you’re required to really farm BWL for elementium ore, which is annoying. Everyquest and it’s brother addon were available before 3.3 if I’m reading you right. If not, then *shrugs*. I thought that API extension was added back in 3.2 or something. Oh well. 3.3 came out almost a year ago I’ve forgotten. I have Loremaster on my Hunter. Fromt start to finish, questing every weekday for 2-3 hours, 5-6 on Fridays, and closer to 12-14 hours on weekends, expect to be finished in 32 days. Considering you’re almost finished Northrend that number drastically reduces. There are more than 1500 quests to finish in vanilla, you’re only required to do 1430. Quests inside the instances count so do play in UBRS and LBRS for the quests there. Do dying suns specifically have more passion than non-dying ones? Fiery implied. A tip I picked up on relatively late in my Loremaster acheivement for ya Pixie (and those who might try seeking it): quests with ‘dungeon’ next to it do NOT count towards Loremaster. It still didn’t stop me from cleaning house in places like BFD and BRD though :). Good luck with it though! The tabard alone gets a lot of remarks and in my experience, people tend to take you a bit more seriously in-game, for whatever reason. And for you Alliance players out there, after you’ve cleaned out Kalimdor/EK, and you find you run out of quests, check out Burning Steppes at the FP there. There are tons of quests that feed into LBRS that eventually feed back into Kalimdor. Awsome! Somone from Lorehound is doing exactly what I’m doing now! I also really don’t want the content to dissapear with the comming expation pack, so at the very least I figure I can experience the quest lines. BC and WotLK already done, now just the 700 daunting odd quests in the old world. I wasn’t going to do it. I’d started it and then got bored and went “frak this”. Hi :), A very interesting article thank you and thanks also to mmomeltingpot.com for drawing this to my attention. I have Loremaster on all 3 of my alliance level 80s and am currently doing the same for a horde level 80 but with one eye on the clock. Quests not to miss, apart from the sprite darter quest chain, are also Pamela’s Doll in epl and the whole thing of rescuing her father which is a lovely chain, the Linken quest chain, I just keep the boomerang :D. Another must do chain for me is to see the ghosts in Caer Darrow which allows alchemists to buy a recipe. There are also at least 3 more quests that I know of that reward pets if you wanted to go for the pet achievement as well. 2 of those quests are from Vanilla wow so worth looking at now. If i can help you at all then feel free to ask. One obvious comment is start at the starting areas and stay there until sent on to the next area. I hope that helps. Good luck :). This is the one achievement I could have cared less about. I always figured people who did this had too much time on their hands and should get out more. That was until I rolled my shaman. I actually leveled her with this achievement in mind, I’d clean out an area before moving on and even leveling in Northrend was carefully planned around this rather than reputation or personal likes of particular zones. Not sure what changed my mind on this character except enjoying the class so much, I want to achieve everything I can rather than just rolling another alt. I use Carbonite for questing anyway and luckily it tracks the number of quests you need to complete in each zone and leads you to quest givers of the one’s you have missed or can’t find. If I didn’t Everyquest would be an excellent replacement. You can definitely do it. I’m hoping I’ll have enough time too since it will be a few weeks before I can get cracking on it. Finished Loremaster a couple of weeks ago on my rogue, for the reasons mentioned above. When Cata was announced I got Explorer just so I saw everything that was about to be trashed; then I committed to Loremaster. It was a great trip with many unexpected pleasures, such as the quests in Silithus, needing to raise the gold to max my flying skill to complete Shadowmoon, finding a couple of really well hidden quests in Netherstorm, discovering the classic dungeon quests which did count and those long quest lines in Icecrown. There were bad times such as swapping rep with the centaurs in desolace for a few more quests..but go for it people!! I’ve been pounding away on my classic Loremaster achievements and repeatedly notice that quests I remember completing a year or two ago – usually in Tarren Mill or the Sepulchre – are available again AND count towards the quest count. I only have one toon that I leveled from the ground up, so there’s no chance I’m mixing my memories. I’ve had the same experience too. Although I did race-change my hunter a few months ago, so that may count for somehting. It seems to be only a few quests reset per zone. which is fine by me. Also, I re-did ALL the hunter class quests, but they didnt count toward the total, which is strange. There is the quest chain to forge the Shattered Halls key that starts by getting an item off Smith Gorlunk in Shadowmoon Valley. The chain is exactly 4 quests long and has all 4 turn ins in or near Honor Hold, so its all in Hellfire. There’s a poop quest chain just north of Thrallmar by a mine. Its given by a goblin. One of the Arrokar drops an orb which starts a quest…he’s on a ledge above the little valley where they live. There are a couple of quests from Isle of Queldenas which lead back to HP. One takes you to the area where the Doom Lord sits. The other is a daily to the razorthorn ledge, don’t know whether that counts. Just so everyone is clear. If you get the loremaster now, it is taken away in Cat. There is no need to toil ridiculously hard to get the title. BUT if you want to be able to finish the old content then Loremaster is a good way to proceed. I have Loremaster and am on the beta for Cat. Unless Blizzard creates a title, which they havn’t yet, of Grand Loremaster, then the simple reality is, that those of us who have attained Loremaster, lose our title, and have to regain it. Our hope is that Blizzard just hasn’t finalized the situation and will in fact create a Grand Loremaster. I raised a ticket with the GM about this. The query was escalated to customer services, who said that (can’t copy and paste from in-game text) they “will not take anything from us that we already have”..but can’t comment on future changes. feedback andd let me know if this is hapening to them as well?